The 4 Valleys ski area is a vast circuit made up of the resorts of Verbier, La Tzoumaz, Nendaz, Veysonnaz, Bruson and Thyon. The most famous being Verbier, which has the most skiing, but the other resorts, such as Veysonnaz, should not be ignored, particularly from the point of view of price and easy accessibility to the skiing. Veysonnaz is also ideal for families who do not need the pulsating night life of Verbier, but are still looking for excellent skiing. Ski school is good Veysonnaz with children being well provided for. 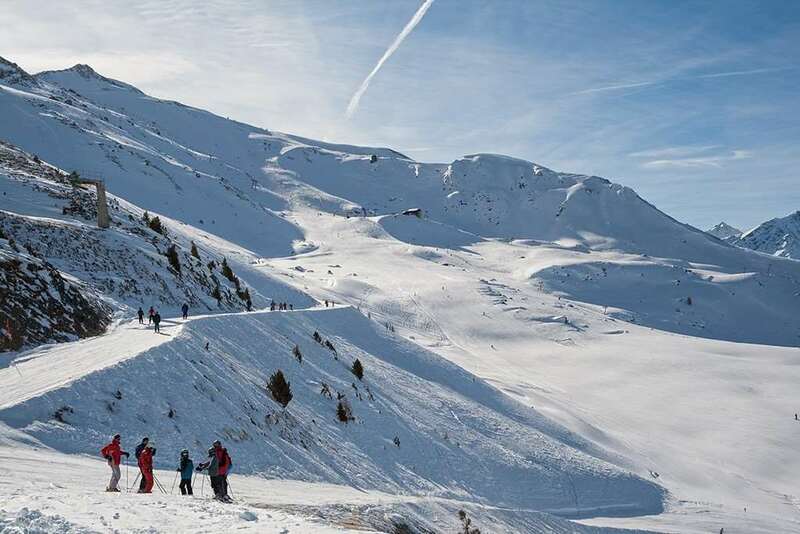 The skiing in the 4 Valleys is varied and suitable for all standards. Over 100 lifts take skiers around the 400km of pistes. Snowboarders are well catered for, with halfpipe and obstacles at Mont Fort and La Chaux. The pistes are perfectly groomed each day for the best skiing possible through the winter season. There are some snow making facilities across the slopes in Veysonnaz which contribute to natural snowfall for more guaranteed skiing and snowboarding during the winter months. Veysonnaz is the most attractive of the 4 Valleys satellite resorts with a good range of facilities including bars, cafés, restaurants and sport centres. There are many airports which are accessible via car or shuttle the closest being Geneva international airport which is 167 km from resort. Others are Bern (170km), Milan Malpensa (214km), Basel/Mulhouse (256km) and Zurich (288km) transfer distance. We have visited Veysonnaz twice staying in the fabulous Chalet Lususa. The skiing is very good, very varied and we had great powder during our last trip at half term 2009. The ski guiding is brilliant, friendly and helpful and the children 12 and 14 really enjoyed the snow boarding lessons from a young cool dude! The village is small with just about everything you need plus a night club and some good bars full of really friendly local people. Everyone in the village was helpful especially in the tourist office, this is a really lovely place and even at half term didn't feel busy at all and any queues moved quickly.